Gilbert R. Sleutaris of Warminster, passed away on Monday October 22, 2018 at The Landing At Willow Grove. Gil was born in Brooklyn, N.Y. and was the son of the late Vito J. and Edna May Sleutaris. He was the husband of Eileen M. (Nee Harkins) Sleutaris, who together had been married for 19 years. Gil had attended LaSalle College High School and LaSalle College, where he received a Bachelor of Science. He had been employed with FedEx as a Customer Service Agent in shipping logistics. 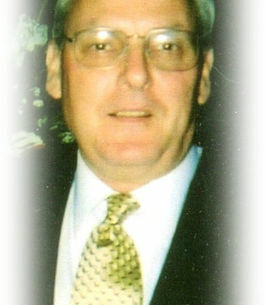 In addition to his wife Gil is survived by his brother Richard J. Sleutaris. Gil’s Funeral Mass will be celebrated at 11:00 am on Tuesday, October 30, 2018 at St. Joseph’s Catholic Church, Columbia Ave., Warrington, PA 18976. Interment will follow in St. John Neumann Cemetery. The family will receive friends on Monday evening from 6-8pm and on Tuesday from 9:30am 10:30am at the Shelly Funeral Home 1460 Easton Rd. Warrington, PA 18976. We encourage you to share any memorable photos or stories about Gilbert. All tributes placed on and purchased through this memorial website will remain on in perpetuity for future generations. Eileen, So sorry for your loss. Hope you can find some peace in the coming days. May he rest in peace, his soul is with God and God will take care of him. He will be missed. All of my love to Eileen and family of Gil. It was a pleasure being able to be apart of his life until God called upon him.